and community devotion are found at London Ontario Meditation Circle of Self-Realization Fellowship. A society free from dogmatism, prejudice, and exclusivity. YSS/SRF Kriya Yoga Meditation is absolutely safe and effective. Come, meditate deeply with with our SRF community and expand your consciousness! give the wise seeker tools to take home for personal growth. church, you have missed the whole point. You didn’t take time to really see! The Uniqueness and fullness of these services are consciousness changing. Enrich the Peace and Mind Awareness and vitality in your daily life! is what Yogananda brought to the world, and this Legacy is creating a global spiritual revolution. Become part of it by changing yourself first. SRF meditation community is the key. If Yogananda really moved your soul, support His work. For more info please call 519-438-4744 /or 519-472-3066. We meet weekly at members homes. No obligations. It has been showing to sold-out audiences of spiritual seekers across North America since Oct 2014, and globally since 2015. Follow up films on Yogananda’s life are under way by various groups. or other outlets. The editions of DVD from SRF book store have multi lingual sub titles and are the best choice. 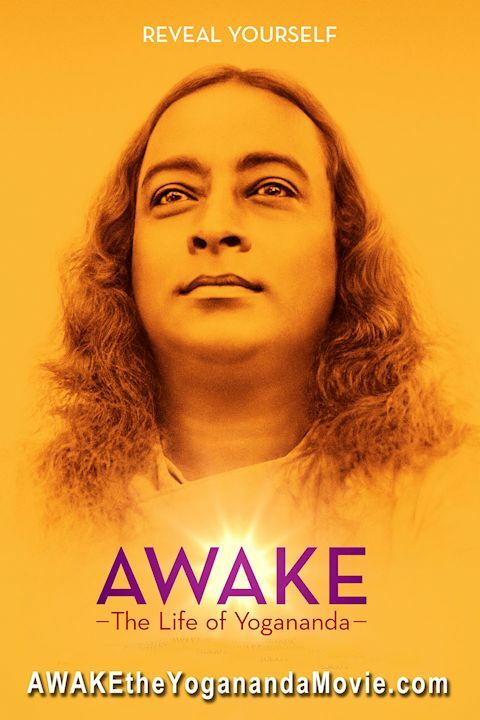 This award winning documentary [biopic] shows a very brief outline of Paramahansa Yogananda’s amazing life story. His work is a major force in advancing a healthier global climate and inspiration for spiritual seekers of all religions or no religion. Self-Realization Fellowship/ YSS was founded by Paramahansa Yogananda in 1920, Incorporated in 1935 as His sole representatives, teachers, and publishers of Babaji’s Kriya Yoga and Yogoda spiritual teachings. His journey in this lifetime 1893-1952. He did say that He would return again and again to help all and attuned SRF/YSS devotees to reach cosmic consciousness. But be careful – when a divine Master makes such a statement, it does not necessarily mean more physical reincarnations or public debuts. It means they will personally come to loyal devotees who are attuned. Even now there are opportunist who are claiming to be the reincarnation or the true earthly representatives of Yogananda. They are not! He made it clear that His only true representatives would be through the SRF/YSS leaders. way fully explained and demonstrated in His own remarkable life. Self-Realization even before death. Ending the cycles of reincarnation. This path is one of grace, self-effort, reason, devotion, and Intuition. With ongoing personal counseling, initiations, and instructions. practices/teachings all based upon Ancient Yoga principles and Techniques. Karma [the residual traumas of this and other lives in this world, called sin by some]. Of course, this will only happen with regular correct practice and attitudes. Journey to Self-Realization – Pp 152.
the Rubaiyat of Omar Khayyam for their spiritual elucidation. Self-Realization Fellowship Publishers [with the orange cover]. This entry was posted in Avatars, comparative Religion, Kriya Yoga Meditation, Lifestyle coaching, PYislove, Science of religion, Self-Realization, self-realization fellowship, Self-Transformitive psychology, Spiritual Masters, Spirituality, Spirituality and faith, Yoga, Yogananda, Yogananda rediscovered. ← London Ontario Meditation Circle site for Self-Realization Fellowship.